News > What Makes Good Waiting Room Chairs in Hospitals? What Makes Good Waiting Room Chairs in Hospitals? There are a number of considerations when it comes to choosing waiting room furniture for visitors and patients in hospitals. Below, we discuss the main points to consider to help you choose the right chairs for your waiting room. - Curved back seating, which ensure maximum comfort for the user when seated for long periods of time. An example from Renray are our stackable Venetian chairs. - Chairs with pressure reducing seat cushions, such as the National chair, provide pressure area care for visitors at risk of developing pressure ulcers. - Providing bariatric visitor chairs for those that need seating with even more support when waiting for their appointments. - Easy to grip arms that aid rising are especially useful for the elderly. 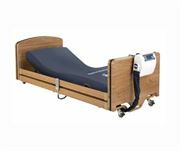 - Angled footstools are the ultimate comfort option for patients and visitors in hospitals. Hospital waiting areas receive high volumes of visitors every day so seating that is sturdy and long lasting is essential. - Robust frames are durable and also easy to maintain. - Stackable chairs or waiting room chairs with wheels that help them to be moved around by housekeeping will make them last longer. - Removable cushions to allow for thorough cleaning of the seat. - Fabrics that are anti-microbial, waterproof and fire retardant are the most suitable for waiting room furniture and have the benefit of being quick and easy to clean. All of Renray’s waiting room furniture uses this fabric. - Sacral gap on chairs enable easy cleaning. - Coating wooden frames in an anti bacterial lacquer, which is a wood lacquer that kills most types of bacteria. An example of a waiting room chair from Renray with this lacquer is the Balero chair. - Incorporating bright and colourful furniture to create a warm and happy environment, for example, sunny yellow waiting room chairs. - Soft and pastel coloured furniture can be used to help relax patients, for example, soft pink chairs in maternity wards. - Matching furniture sets that include chairs, footstools and tables improve the overall atmosphere of a hospital waiting room. 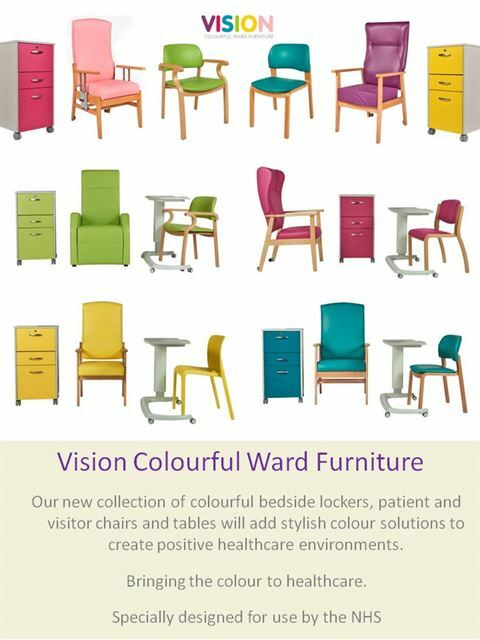 This is why at Renray we have specifically designed and manufactured the Vision Colourful Ward Furniture range for use by the NHS. This range of furniture not only includes waiting room chairs, but also matching furniture such as bedside lockers, tables and patient seating to enhance the patients experience. For more information on the Vision Furniture range, view the Vision Furniture Brochure, additionally view the NHS Furniture Brochure to view more hospital waiting room seating and furniture. Please call us 01606 593 456 for more information or email us at info@renrayhealthcare.com and we’ll be happy to help.